The Bank of Mum and Dad is more important than ever before for young workers striving to get on the property ladder. However, while you may be keen to provide much-needed financial support to children and grandchildren, advice should be sought. Research suggests some well-meaning parents and grandparents could be putting their financial security at risk by not doing so. As house prices continue to rise and most first-time buyers are expected to put down a minimum deposit of 10% of the property’s value, more aspiring homeowners are turning to family. A report from the London School of Economics (LSE) found it was most commonly parents that provided financial support, accounting for 92% of money lent for the purchase of a home. Unsurprisingly, help with a deposit is the most common way to help loved ones get on or move up the property ladder; around half of those supporting loved ones did so in this way. Additionally, a fifth helped by giving beneficiaries a lump sum to cover the costs associated with buying a home, such as Stamp Duty and legal costs. While first-time buyers are the most likely to seek help from the Bank of Mum and Dad, they aren’t the only ones. The research found that 25% of loans or gifts given were used for second or subsequent purchases. A few even provided financial support to buy a holiday home or a buy-to-let investment. The research revealed that few took legal or financial advice before supporting their loved ones despite the often significant sums being handed over. Just 8% of those helping with a deposit took financial advice, for example. The majority (70%) withdrew funds from their savings. 8% used their pension, Equity Release or remortgaged their own home to help others get on the property ladder, which could have a long-term impact on financial security. Seeking professional advice can help would-be lenders understand what would happen if their circumstances change, the potential Inheritance Tax (IHT) complications and other areas of concerns. Why take financial advice before supporting homeownership ambitions? Understand the impact on your finances: Often concerns centre on how loaning or gifting money will affect your financial security. Will gifting money leave you struggling in later years? What would happen if you needed to pay for care? Effective financial planning can help you understand how the decision to support loved ones will influence your lifestyle and security in the short, medium and long term, taking potential life events into account. 2. Get to grips with tax implications: Do you know how the gifting rules may affect you? 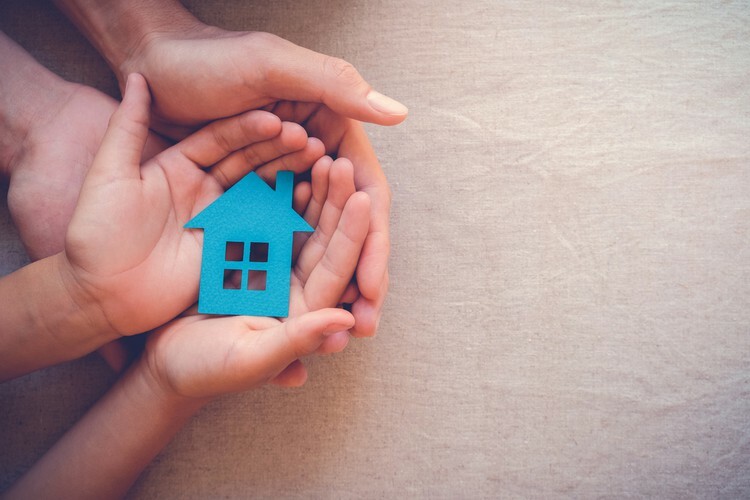 As you’re likely to be handing over sums that exceed gifts that are immediately exempt from Inheritance Tax, it’s important that you get to grips with how providing a helping hand could affect your estate’s liability. There are often steps you can take to reduce or mitigate liability if you’re aware of the potential costs to begin with. 3. Improve your confidence: If you’re grappling with the decision to lend or gift money, financial planning can give you confidence in your plans. It means you don’t have to worry about whether you’ve made a mistake, it’ll be a decision made with a full understanding of the potential financial implications. If you’re unsure whether to move forward, financial planning can give you the insight needed. 4. Ensure you’re all on the same page: Financial planning can help clarify what’s possible in terms of the level of support you’re able to provide. It’s a step that can ensure you and your beneficiaries are on the same page. Will you need your loved one to pay back the money over a defined period of time or can you afford to gift it to them? By understanding your situation, you’re in a better position to create a plan that works for all parties. If you want to support children or grandchildren with their home ownership ambitions, please contact us. We’re here to help you not only understand the options available, but have confidence in your decision too. This entry was posted on Thursday, March 14th, 2019 at 3:36 pm	by Peter and is filed under News. You can follow any responses to this entry through the RSS 2.0 feed.